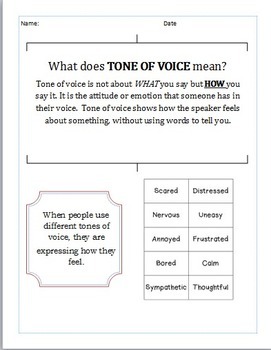 This is a great resource for teaching the concept of 'tone of voice' with students. 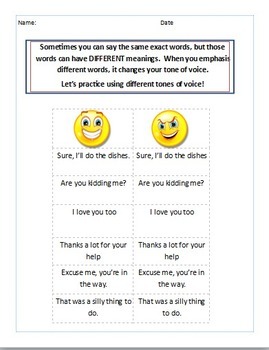 I use it for my students on the autism spectrum as a social skill lesson. It is a fun and interactive lesson where students of all levels can participate. Enjoy!